So, speaking of Gretchen Rubin . 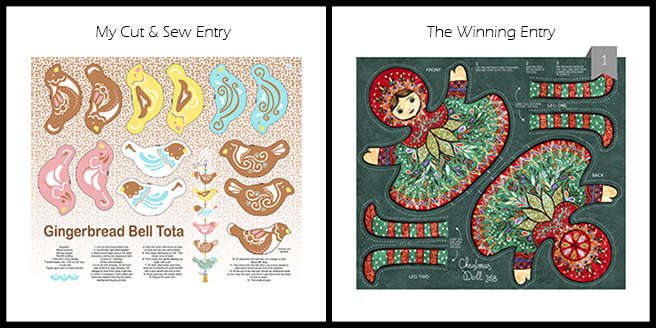 . .
After I abandoned my second experiment with the Spoonflower challenges, I suddenly felt estranged from the designers who were still in the game. It was so silly! The whole Spoonflower community—people whose work I admired, whose Instagram posts I genuinely heart-ed, and whose success I applauded—had suddenly gotten under my skin. They were the same, lovely people, but I had benched myself because I’d decided that the challenges weren’t practical enough. I was pouting and unhappy, and, apparently, I couldn’t be happy for them either. It was just icky. I wanted to be back on the team! I missed the camaraderie, the feedback, and the deadline. I enjoyed being in what Gretchen calls an “atmosphere of growth,” a state where we find happiness when we’re learning something new. I could do all of that on my own, but it was heightened during the challenges. When I recognized that I was just jealous and had no reason to be annoyed, I said, “Eff practicality,” and gave myself permission to get back in the game. 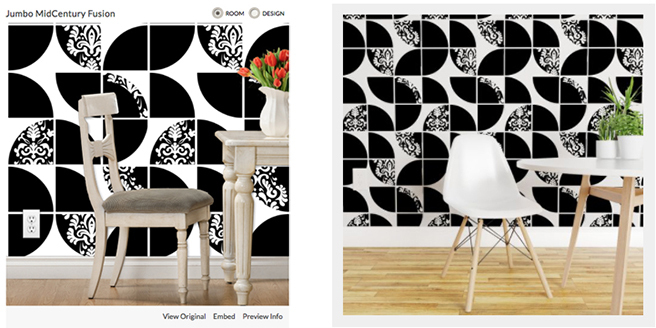 “Jumbo MidCentury Fusion,” Large Scale Black & White Wallpaper challenge, 190th/834. And it was so much fun! The pressure was off, and the goodwill was back. 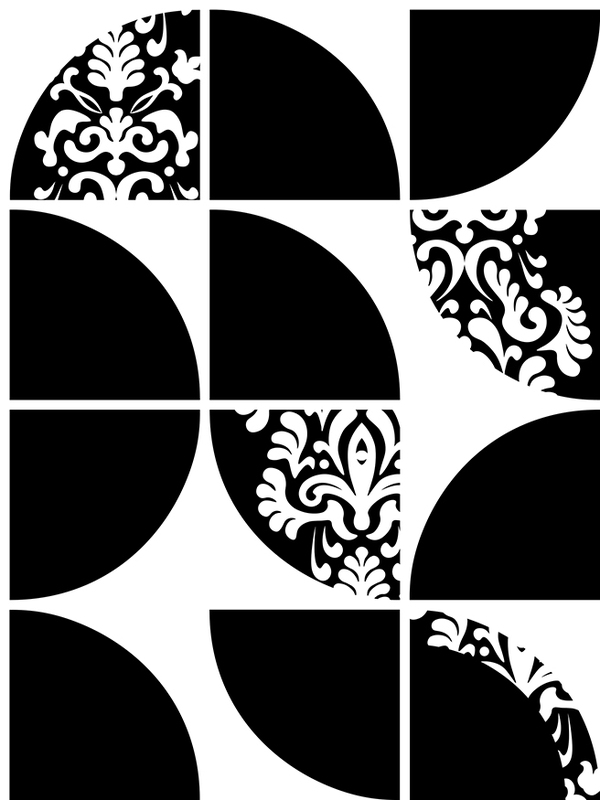 I entered the Large Scale Black & White Wallpaper challenge at the end of November last year, digging out an old mid-century modern design I’d abandoned and mashing it up with a chunky damask pattern. I still didn’t get into the Top 50, but I think I stumbled onto something promising with the two-color design. Win, win, win! 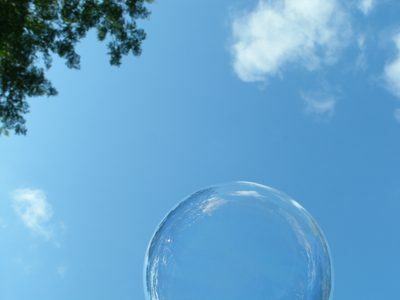 I was kind of amazed that I had found sunshine on the other side of the crapulence. Negotiating with envy is never going to help me get Misty Copeland’s dancer’s body, but in this case, it worked a treat. What a simple solution! Thank you, Gretch and Liz! 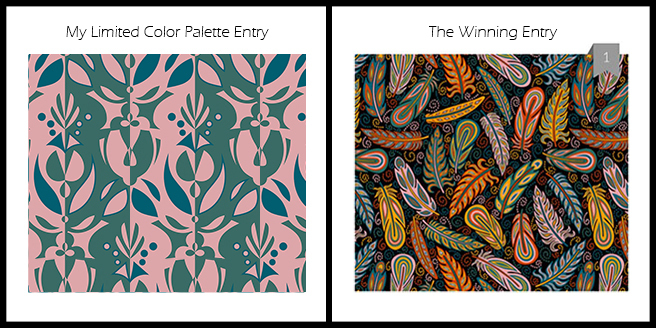 Uploading a design as wallpaper in Spoonflower automatically creates these adorable mock-ups. Now I want to run everything through the Magical Wallpaper Machine.